How To Dribble A Basketball Better & Faster Like A Pro | GET MAD HANDLES! 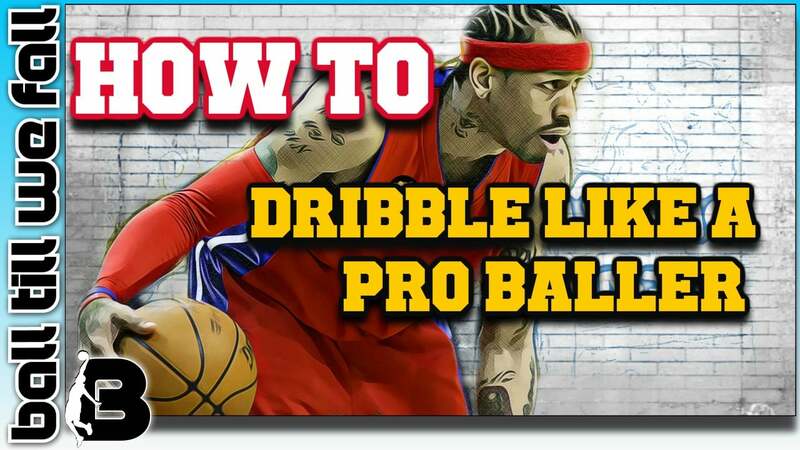 This work, "How To Dribble A Basketball Like A Pro", is a derivative of "Allen Iverson" by Keith Allison , used under CC BY. "How To Dribble Like A Pro" is licensed under CC BY by BallTillWeFall.com. So why should you learn how to dribble a basketball better? Well, one of the first things that stands out on the court is when a player can dribble the basketball really well. They’re the player that’s dribbling circles around their opponent – not necessarily any fancy dribbling but they’re taking care of the ball and not turning it over with poor ball handling skills. Yes, if they’re going between their legs and behind their back they may start getting the crowd’s approval and applause, but ultimately it’s the appreciation of the skill and art of handling the rock. Stephen Curry is the perfect example of a player who can use his basketball dribbling skills to get him an open shot regardless of what the defense throws at him. UPDATE: Did you know Steph Curry just released his own online basketball training program. We did a massive review that shows you exactly what is included inside the system. Read our Steph Curry Masterclass review to learn more. Not everyone has naturally great skills when it comes to dribbling the basketball. However, with motivation and commitment you can learn how to dribble a basketball better and become great ball handler! There is also some great basketball dribbling training gear on the market that can help with skill development. I will show you some of these innovative products as we move through this post. Become an excellent ball handler doesn’t happen overnight – it will take serious practice – but if you’re willing to work hard then you will see the results. We’re going to show you everything you need to know in order to improve your ball handling game. So let's get started! Use Your Fingertips For Better "Feel"
First things first, you have to know how to dribble the basketball the correct way. If you’ve been dribbling any other way, stop doing it your way and do it the right way. When you start dribbling, you want to be low so that you can dribble the basketball low as well. The lower you are the more difficult it makes it for your defender to steal the ball from you. Make sure you’re bending your knees – this gives you mobility while you dribble. Remember: To beat the D, keep the ball below the knee! As you dribble, you want to use your fingertips and NOT your palm. You want your hands to have control over the ball as it bounces and your fingertips make sure that happens. Spread your fingers out across the basketball’s surface as you dribble so you have a wide and balanced contact area. 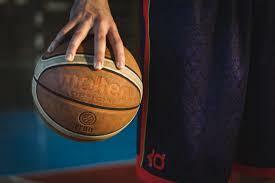 To become a better dribbler of the basketball you must develop excellent muscular endurance of the muscles in the forearms, wrist and fingers. The best way to develop this endurance is to put more time in dribbling the basketball. 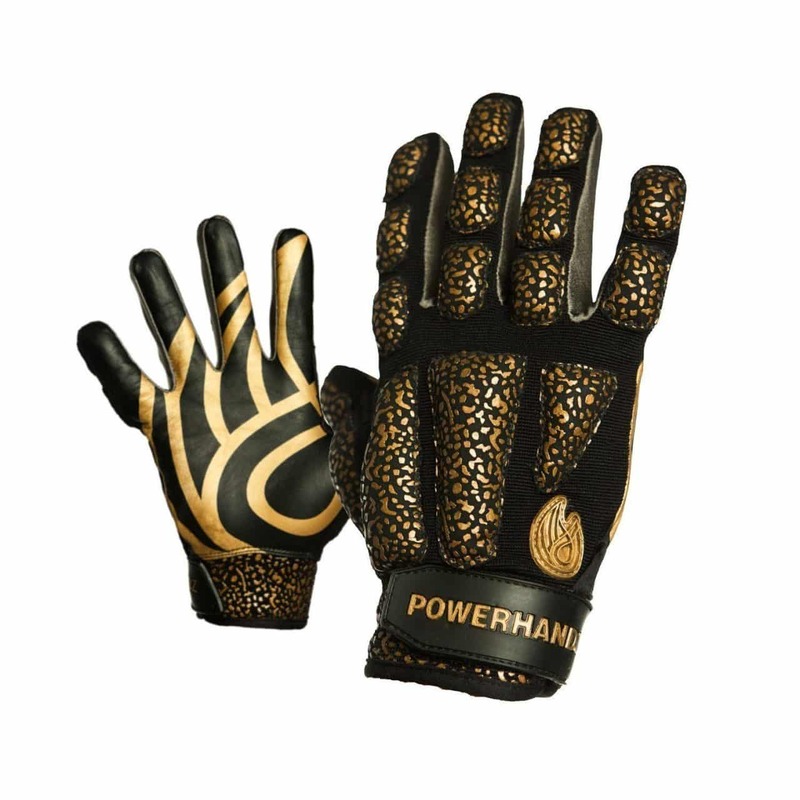 Note: It also may be worthwhile checking out the PowerHandz dribbling gloves, as they have been designed to boost ball handling specific muscular endurance and control. Players know how to dribble, shoot and pass. The challenge is to teach them why they should do it a certain way, and when they should do it. The Dribble Up Smart Training Basketball is probably the greatest invention in basketball over the past decade. The ball and companion app guide you through workouts and provides expert analysis to ensure you improve your ball handling skills fast. It can do things like measure many different aspects of your dribble and also has some really fun games. 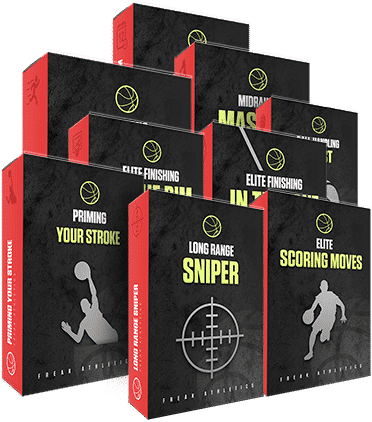 The 30 day guided program is the perfect solution for ballers who want improved dribbling results fast. 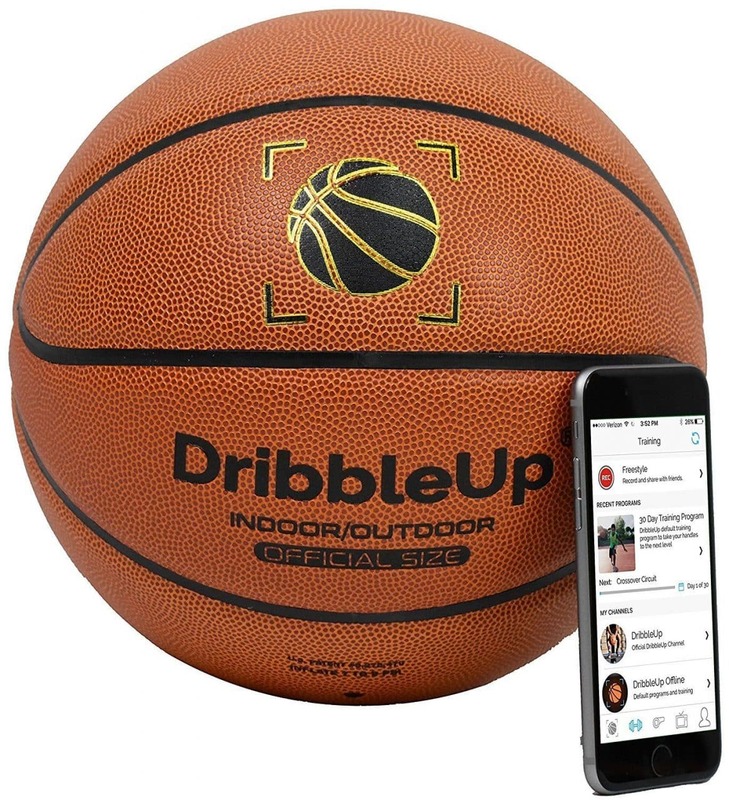 DribbleUp Smart Basketball with Included Virtual Trainer App - Official Size 29.5"
With your dominate hand, push the ball down so that it bounces off the ground. You want to bounce it firmly, but not so hard that you can’t control it. As the ball hit the grounds and comes back up to your hand, you want to push it back down with your fingertips in a controlled motion. Aim for high repetitions in order to build motor patterning and promote muscular endurance development. 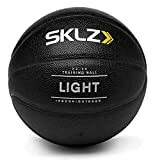 Note: A great product that can help you improve your fingers, wrists and forearm strength in a basketball dribbling specific manner is the SKLZ Control Basketball. This innovative device reacts the same as a regulation size ball while challenging your dribbling nureo-muscular structures and function. Improve Your Hand Strength & Control With This.. 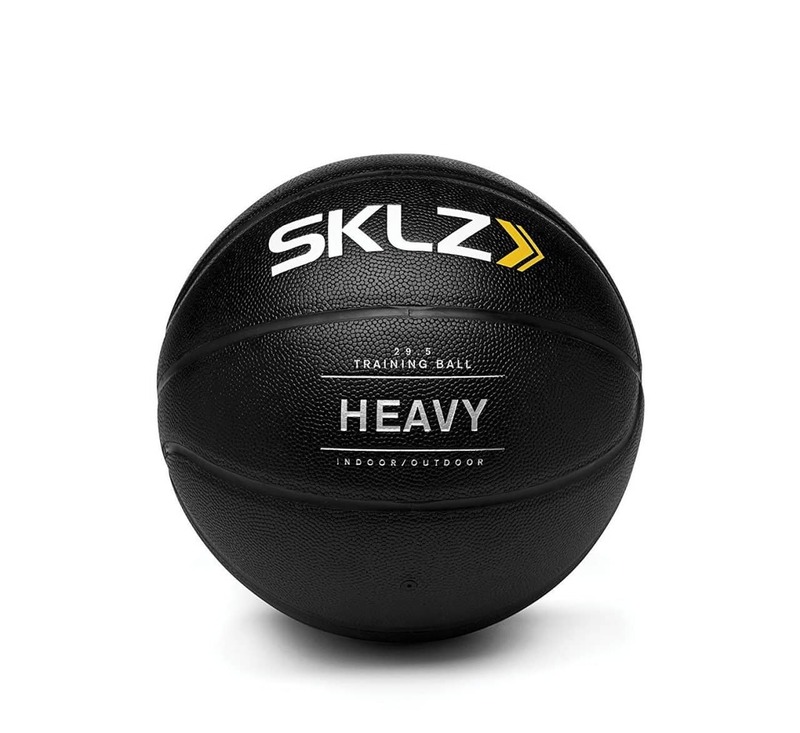 The SKLZ Control Ballz are a weighted, regulation size ball that promote strength in the fingers, wrists and forearms. We were surprised that these balls react the same as regulation ball which allows you to really take your training to another level! Each time the ball bounces up to you, it’s important to keep control of it. The palm of your hand should be directly over the ball so that as your dribbling the ball bounces right into your fingertips. This should be easy if you’re already in that low stance. Stay in your low position, bend your knees, and dribble the ball low to the ground to keep it protected. Once you get this down with your dominate hand, start using your weaker hand. A top baller has to be able to dribble with either hand! The Powerhandz strategically placed iron sand around the hand flex points challenges the intrinsic dribbling muscles of the hand and forearm. Best yet, it is made of breathable fabric and is a snug fit. Check out our full Powerhandz Training Gloves Review. If you are just starting to learn how to dribble a basketball better then you will probably find this challenge quite difficult. Dribbling without looking at the ball requires a basic level of muscle memory that can only be obtained through hours of fundamental dribbling practice. However, once you feel comfortable dribbling a basketball while looking at it you must move on and challenge your dribbling skills without the use of a visual aid. The best ball handles use their peripheral vision to observe and analyse the court in order to see the opportunity to make a play. At a pro level their is no time to look at the ball. The best way to learn how to dribble a basketball without looking is to simply start off by dribbling with your eyes shut. Note: Both beginners and aadvanced players can benefit from using a pair of court vision goggles while working on basketball dribbling drills. These are a very cheap device that can greatly enhance court vision! 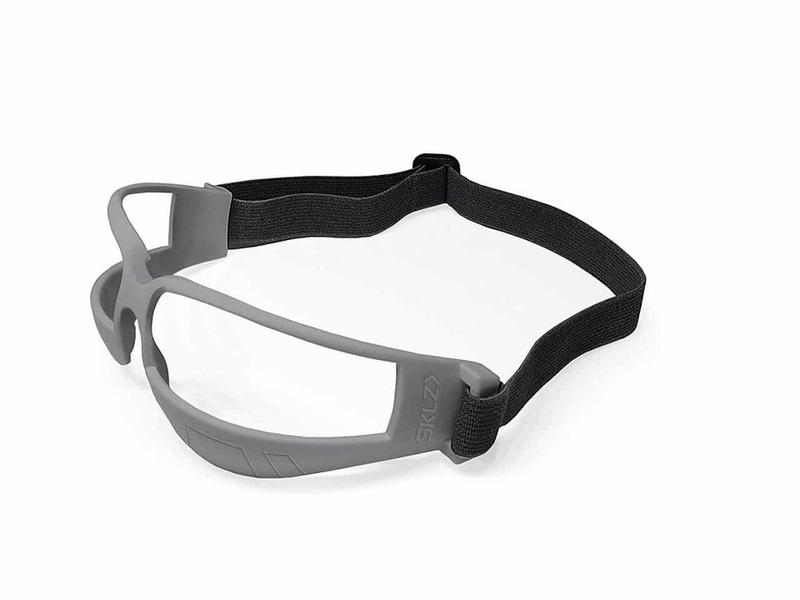 The SKLZ Court Vision Basketball Dribble Goggles force players to handle the ball with his or her head up to monitor the court. If you want to increase your court vision and reaction time against defenders then definitely pick up a set of these innovative goggles. As you’re working on your handles it is good to get a couple staple moves into your arsenal. Every baller needs to know how to do these and to do them well. Now that you are dribbling the basketball the right way, it’s time to learn how to start to move with the ball and become a true offensive weapon. To perform a crossover dribble as you’re dribbling the basketball, take a step with the foot that is on the same side as the basketball, push off that foot as if you’re going to go in that direction, and then push the basketball across the front of your body to the other side. Your basketball will essentially make the shape of a ‘v’ when you execute your crossover. As you’re dribble the basketball in your dominate hand and step with your opposite foot. As you step, push the basketball towards the ground in the space you’ve created between your feet. While this is happening, be ready to catch the ball in the same dribbling motion with your opposite hand. As you’re dribbling the basketball, take a step with the foot that is on the same side as the basketball. As you do this, push the ball behind your back so that it hits the ground midway towards the opposite side of your body. When the ball is coming off the ground, you should be ready to begin dribbling with your opposite hand in the same motion. It’s essentially a crossover, but behind your back. Now that you’ve got the beginner moves down it’s time to take the next step. You have to put it all together like a pro. The only way to dribble a basketball like a pro is to study the pros. Who has the best handles in the NBA or WNBA? A couple ballers come to mind. These are the people you need to be studying if you’re wanting to dribble a basketball like a pro. C﻿﻿an’t Be ﻿﻿Guarde﻿﻿d is a 12 Week Basketball Training System That Develops Your In-Game Skills Using Intense But Easy To Master Drills, Techniques, and Moves. Created By World Renowned Coach Rocky. Steph Curry is the most obvious person on the list. He executes all of the fundamental aspects of dribbling perfectly. He also does things with a basketball that leave you speechless. There’s a reason why he is a 2 time MVP and NBA Champion. Check out the clip below and tell me he isn’t one of the best ball handlers in the league. Don't forget to checkout Steph's online training masterclass. Kyrie Irving – this baller has a sick crossover. He is a NBA Champion and 3 time All Star. He is definitely one you need to be watching for inspiration as you’re in the gym getting better. Sue Bird – yes, ladies can dribble too and Sue Bird is the best point guard in the league. She’s a product of the UCONN Women’s program (I hope you’ve heard of them….think 11 National Championships), a 2 time WNBA Champion, and a FOUR time Olympic Gold medalist for the women’s national team. Watch her brilliance with the basketball. How to Dribble a Basketball Better Today! I’ve said it before and I’ll say it again if you want to know how to dribble a basketball better it just takes PRACTICE. If you want to be better at dribbling you have to put in the time and energy to becoming BETTER. Being an expert dribbler only comes with constantly having the basketball in your hands. How do you do this? You dribble everywhere and get creative with your dribbling workouts. Note: We have reviewed and compared the top programs of the year which you can check out >>> here.
" We believe Game Time Handles is the most comprehensive ball handling training program on the market. If you want to handle the rock like the pro's, this is the perfect place to start"
The reason why we suggest following a pre-packaged program is because they have done all the hard work for you and placed the individual drills in a professionally prescribed and graduated manner. Sure you can rummage through the web and you tube to find individual drills, but ultimately this approach is ineffective and unsustainable. By following a program you will have everything layed out so all you have to do is simply "get it done". We find that these programs are creatively designed so that one drill never burns you out. Best yet some of these programs are currently reduced by up to 80% so definitely check them out before it's too late! In the mean time here are a few great drills that will help you learn how to dribble a basketball better and faster. If you think dribbling with one ball can be tough, try adding a second ball. At first this will feel really weird and every move will be difficult. Over time and practice, it will start to become second nature and your confidence in handling the rock will increase. These drills will make you focus on the details of everything you do – dribbling at the same time (coordination), with the same amount of force (rhythm), and using both hands (strengthens weaker hand). 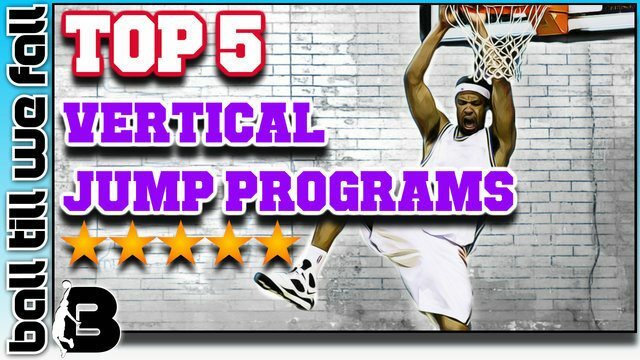 Don't Miss Out... Find out which online basketball training program we ranked #1 on this list! By using tennis ball while you’re practicing your dribbling skills it forces you to not watch yourself dribble. Your eyes have to be on the tennis ball or looking for the tennis ball. It works on your reaction time and your ability to adjust in a matter of seconds. These drills will make your focus on everything other than your dribble which will increase your court vision and taking care of the basketball. The SKLZ Dribble Stick improves hand positioning, stance and speed with the ball. 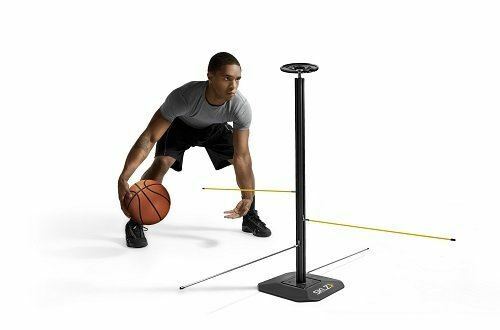 It can be used for plyometric training. A must have for the serious baller! As a staple drill, having about six cones allows you to set up different scenarios to perfect your dribbling skills. Cones can allow you to practice in a lot of different ways while giving you maximum repetition. The key to cone drills is staying discipline and having great speed and energy each time. To me, cone drills are the most universal drill you can do when it comes to skill level – meaning you can use them as a beginner and as a pro. They are also a great way to practice your dribbling finishing with shooting the basketball – so it adds an all around way to improve. If you have a partner with you in the gym then work together one your dribbling skills. There’s no better way to become a better ball handler and increase your confidence then going against defense. Start out with soft defense meaning the defense doesn’t try to steal the ball - they are just there to provide a defensive presence. After a couple of times, pick up the pace and have the defense try and steal it from you. It will be similar to one on one, but your goal will be to not turn the ball over. All the best ballers put in the time to get better and if you want to be considered one of the best you have to do the same. Make sure you’re reaching your full potential by learning how to dribble the correct way and then taking it to the next level with different moves and drills. Now that you know what to do it’s up to you to make it happen. 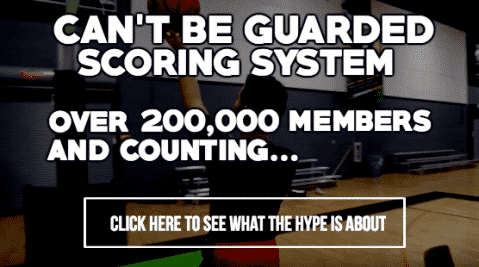 IMPORTANT: If you feel like you need some extra guidance in devising a periodised ball handling training program, then be sure to checkout our epic comparison of the most popular training systems available online. 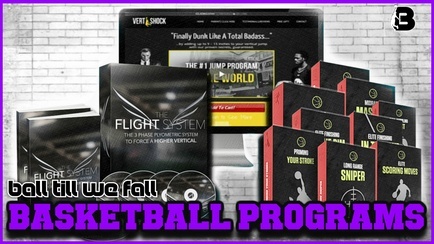 These programs are developed by some of the world's most respected basketball trainers. These guys have helped thousands of people around the world learn how to dribble a basketball better and faster than they ever thought possible. Hope it helps!